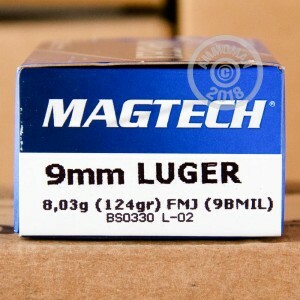 For some of the best military spec NATO ammunition out there, you should choose this 9mm NATO FMJ by Magtech! This ammo has a 124 grain full metal jacket projectile, designed for military use, but made available to you on AmmoMan.com. It is a powerful round that will be great to take to the range for practice with your 9mm full size, compact or subcompact pistol. This ammunition is a favorite among professional sport shooters around the globe due to its accuracy and dependability. 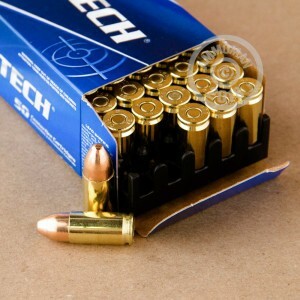 Each cartridge is brass cased, Boxer-primed, non-corrosive and reloadable. 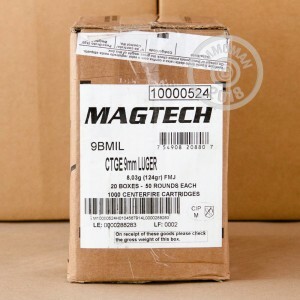 Magtech is a top leader in the ammunition industry. Since 1926, they have been producing fine quality, yet affordable, ammo. They manufacture all of their own components, making sure each product is held to the highest standards. Order your 1000 rounds today, and take advantage of saving when you buy in bulk, as well as get free shipping!